Founded in 1945, it has been the seed of a wine producing dynasty which has expanded beyond the Rioja confines. Álvaro is based in Priorat and in Bierzo with nephew Ricardo Pérez whereas Rafael Palacios is making white wines in Valdeorras. Palacios Remondo has always been among the leading producers in the often snubbed Rioja Baja, traditionally associated with mass produded wines rather than quality brands. It is therefore understandable that Álvaro Palacios tried for a while to popularise the less derogatory name of Rioja Oriental. Regardless of his long absence, the shadow of Spain's celebrity winemaker has always hanged over the family winery and he is now in charge of both the business and the wines. 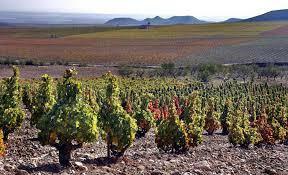 His vision of this part of Rioja could be summarised in two words: Garnacha and altitude. The jewel of the winery is the fabulous La Montesa vineyard, which rises on the hillsides of Monte Yerga. When Garnacha, Rioja Baja's natural variety, is planted on this location and at the right orientation, it can give wines that stand out among others in the Denomination for their freshness, aromatic nose and balsamic power. As an expert in the variety thanks to his work in Priorat, he has increased the presence of Garnacha in the house bottlings. It now represents 75% of the blend in La Montesa (€11) whereas the premium Propiedad Viñedos Tradicionales (€21) is a single varietal. Wine Spectator 85"A light, firm red, offering berry, cranberry, leaf and light earth flavors over light tannins that tighten on the finish. A bit lean, but a perky match for food. Drink now through 2012. 18,750 cases made. ~TM"